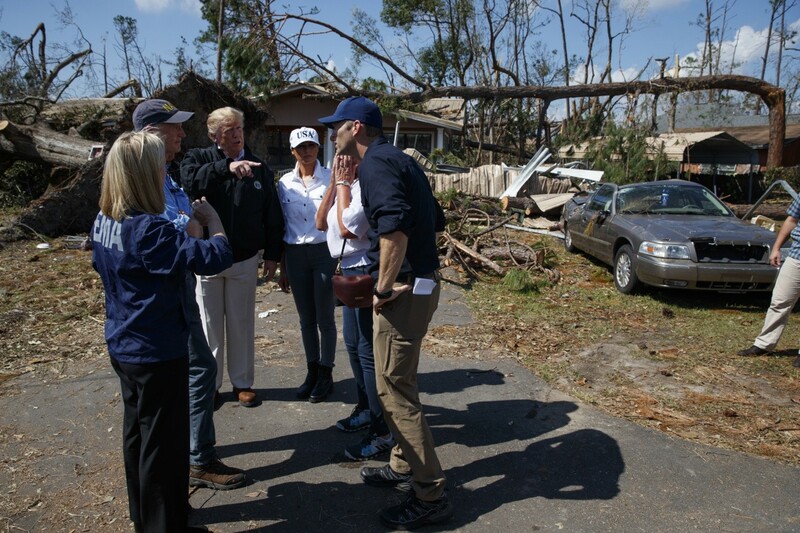 President Donald Trump visited Florida on Monday to personally witness the devastation caused by Hurricane Michael. The president flew to Eglin Air Force Base with first lady Melania Trump and met with Florida Gov. Rick Scott, FEMA director Brock Long, and other officials. 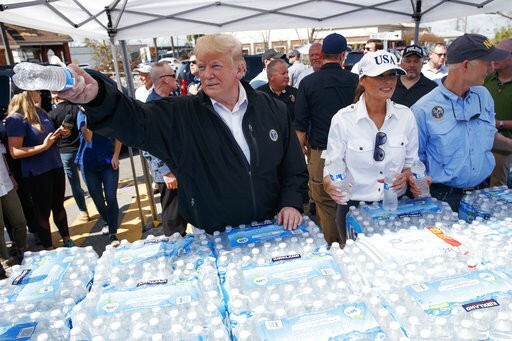 Trump personally thanked Scott for doing an “incredible job” and said the federal government would continue providing food and supplies to the storm victims. Scott thanked Trump for assisting the state as they responded to storm victims and worked to recover. “We talked almost every day. Everything we asked for, they delivered,” Scott said. 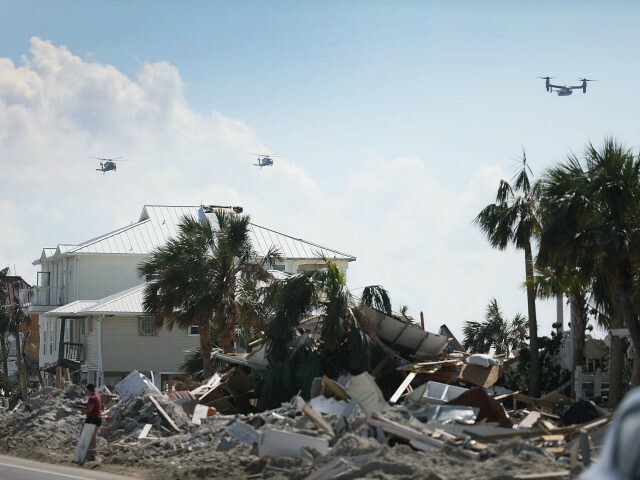 The president and first lady traveled aboard helicopters to view the devastation in Panama City and Mexico Beach as well as Tyndall Air Force Base, which was heavily damaged by the storm.